in Longyearbyen, the island’s largest settlement. Enjoy your first view of the island’s rugged, glacier-topped mountains, rising majestically from icy waters. found here is astounding. 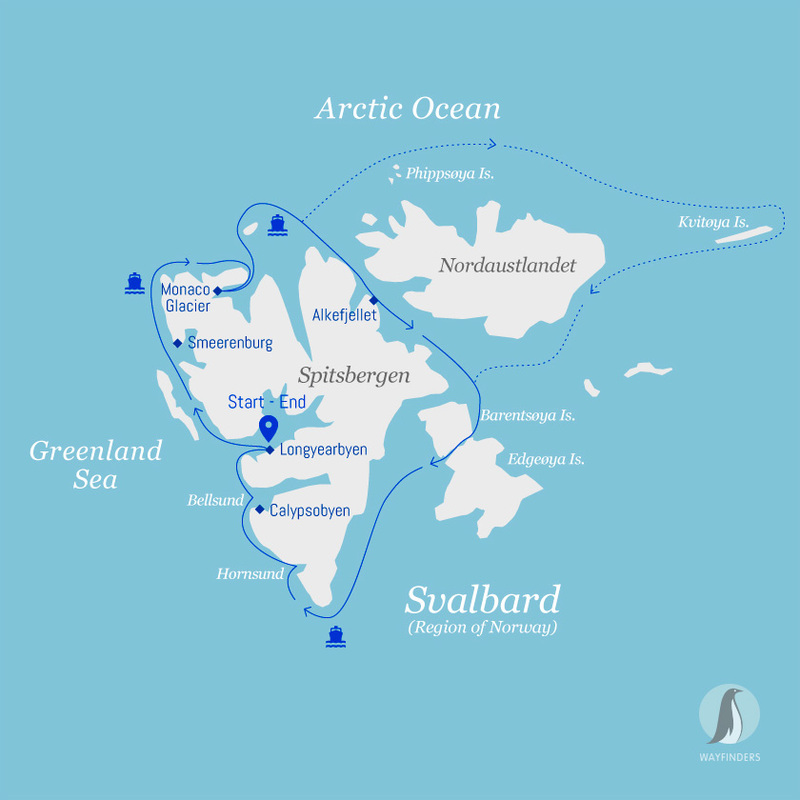 We plan to circumnavigate the island of Spitsbergen, but if conditions are favorable, we will also attempt a circumnavigation of the whole Svalbard archipelago. Every expedition will be different, depending on the weather and ice, but we do hope to visit a few of our favorite landing sites, including the 14th of July Glacier, Ny London, Phippsøya, Alkefjellet and the seldom-visited Kvitøya. our Expedition Team. 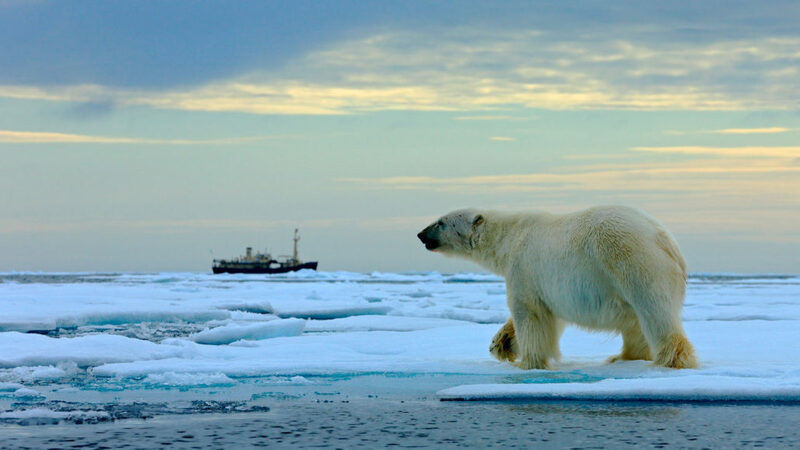 Phippsøya and Isbukta are two of the bears’ preferred places for hunting, which translates into great potential for you to capture them in action. today, but also how this land was first explored. Whaling was a key industry, and you will see old blubber ovens from the 16th century, plus other evidence of whaling at landing sites such as Smeerenburg. Colorful tundra meadows are complemented by glaciers, and sometimes there is a rare chance to spot beluga whales. Your adventure ends in the frontier- style settlement of Longyearbyen. From here, we’ll transfer you to the airport for your flight home.